A unique coupling of an antique Blue Rosary Box with Saint Teresa on the cover. 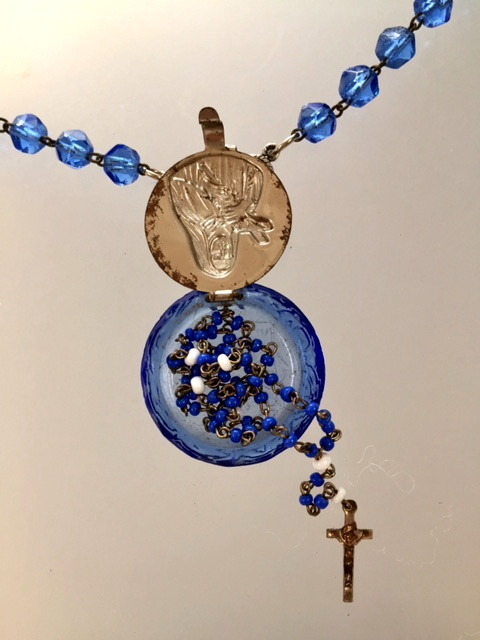 The ornate box contains the original Mini Rosary with complimentary Blue and White beads completed with a Cross. The back of the glass rosary box has a raised floral design. 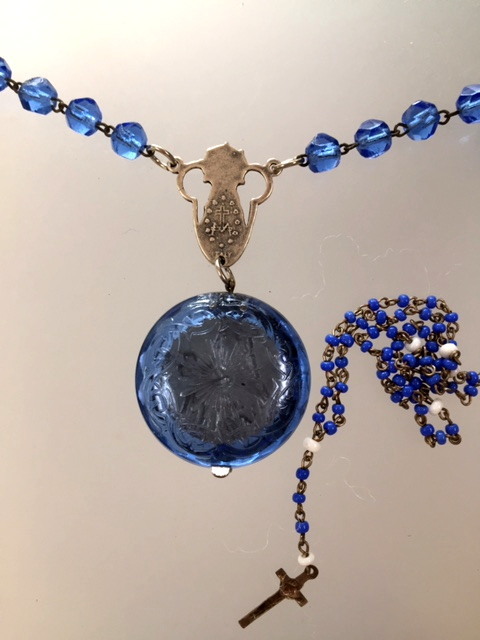 The box is mounted on Blue antique French rosary beads finished off with crystal beads. The Ornate toggle is embellished with a Silver Cross suspended on a crystal. 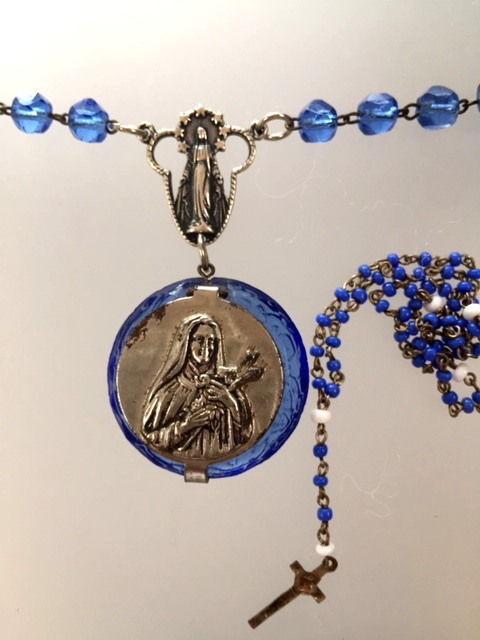 Necklace measures almost 19" long, Rosary box is 1 1/8" wide. If you seek the rare and unique in your adornment, here is a piece you will be pleased to add to your collection!